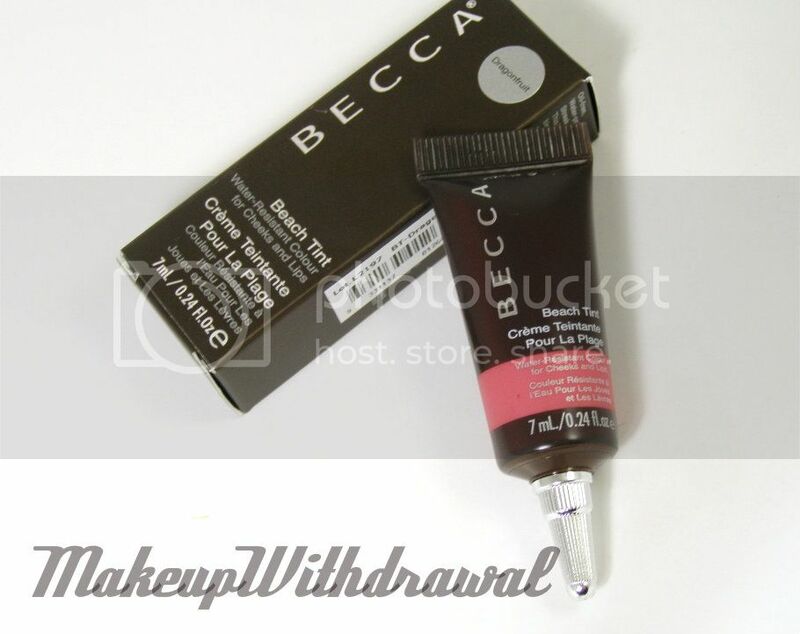 I recently ordered another BECCA Beach Tint, because the one I have in Watermelon is one of my all time favorite products. This time, I picked Dragonfruit because it is a brighter, more intense vivid pink. Dragonfruit is aptly named. It really does look like the outside of a dragonfruit, a saturated pink that leans a bit cool. If you're not familiar with Beach Tints, they are very fluid creams that come smartly packaged in a pointed squeeze tube for pin point application. 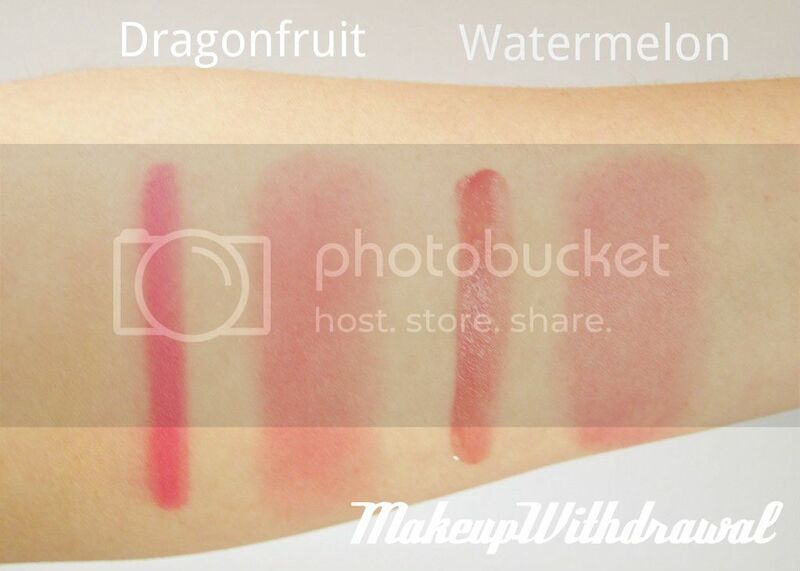 They can be used as cheek or lip tints and are very long wearing. I especially love Beach Tints in warmer, humid weather because they can really go the distance but are weightless compared to other cream products. Another great thing about Beach Tints is that you can really control how much product you use for different looks; a tiny bit for naturally flushed cheeks or a heavier application for vivid lips. Compared to Dragonfruit, you'll find that Watermelon is more rose pink- what I would consider a more natural shade of pink. Dragonfruit is much more lively and playful, cooler and brighter. Face: Giorgio Armani Luminous Silk Foundation + Make Up Forever HD Foundation, Black Radiance Shine Control Primer, G2Organics Hickey Stick*, Guerlain Meteorites (Emilio Pucci edition). BECCA Beach Tints are $25 each and can be found at Sephora as well as many other retailers. Tried any of these before? Have a favorite shade? Product featured were purchased by me, for my own use. For additional information, please refer to my Disclosure Policy. *Indicates a product sent to me for review.